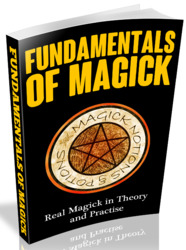 "The whole question has been threshed out and organized by wise men of old; they have made a Science ofLife complete andperfect; and they have given to it the name of MAGICK"
Enochian Magic uses the more general and familiar term "magic" You should note that this Magican's Manual uses the spelling of Magick with a final '' K' ' This is in keeping with Crowley's use of a final ''k' for reasons of gematria as well as to distinguish his more specific system from Magic in general. Crowley defined Magick as "the science and art of causing change to occur in conformity with will." This extremely broad definition is exactly the meaning intended throughout this manual. Magic is both a science and an art. Like music, only so much can be communicated in words. Its study demands practice. 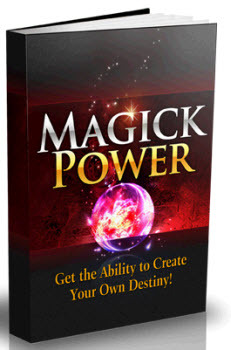 You will not become a magician simply by reading this or any other book You must put what you read hito practical application. Enochian Magick is a ve ry special category of Magick. After learning of the Watchtowers and Aethyrs, for example, you must then experience them. Crowley's Magick is also associated in various degrees with a sexual element, which fact alone usually distinguishes it from most other magical systems. This sexual element is not considered in Enochian Magic. However, certain forces and atmospheres encountered in the Enochian system are decidedly sexual in nature. These forces constitute an essential difference between the more general Enochian Magic and the more specific Enochian Magick.